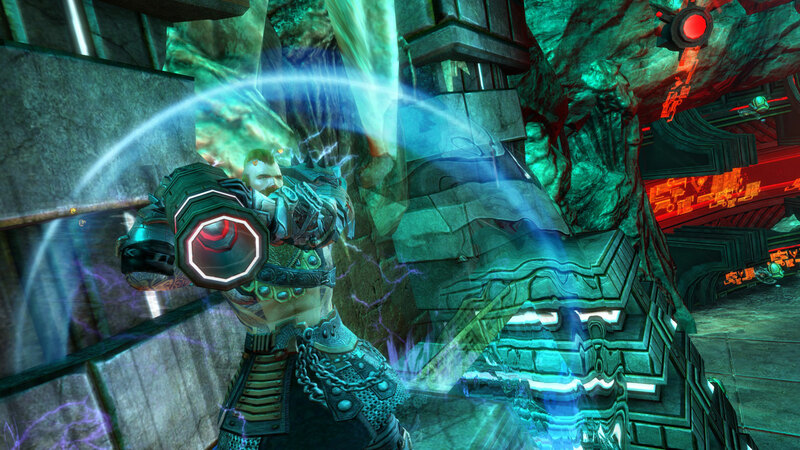 At the very beginning of 2013, trouble arose from the depths as the dredge and Flame Legion charr worked together to begin production on sonic based, magically infused weapons in an underground facility. On the heels of their defeat, a new threat arose from the very heart of Lion’s Arch: ruthless sky pirates led by Mai Trin known as the Aetherblades assassinated a member of the Captain’s Council in hopes of stealing his seat to further their nefarious schemes. In the aftermath of the assassination, we discovered that the Aetherblades, using Inquest holo-technology and advanced engineering, were building a fleet of airships in the midst of Lion’s Arch itself! Though the Aetherblade’s plots were foiled, questions arose – was there someone lurking in the shadows orchestrating the chaos that plagued Tyria? Who could bend these unlikely allies to their will? At this point, we didn’t know why she was amassing sonic weapons and an air fleet, but the question was on the minds of Tyrians everywhere. These questions were quickly answered when Scarlet Briar crashed Queen Jennah’s jubilee celebration, taking control of the queen’s very own watchknight defenders and stealing herself an army of clockwork foot soldiers. She added them to her twisted army and begin an on-going assault against the people of Tyria, testing there defenses to see how they reacted to large scale attacks. Though Divinity’s Reach was saved, Scarlet herself vanished. We heard rumors of Scarlet’s origins , how she looked deep into the eternal alchemy ignoring the warnings of the pale tree and saw something that changed her forever, warping her and turning her into what she is today. 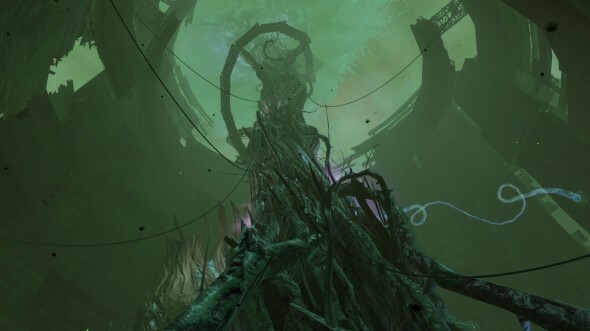 In the search to find her after her escape from Divinity’s Reach, we discovered an Aetherblade military training base nestled inside of the Twilight Arbor of the Nightmare Court, where she was stockpiling armaments and training soldiers. But for what ends? Soon after, Scarlet and her courtier allies bribed the cruel and xenophobic krait with their fabled obelisk shards to enlist their help in growing a massive, noxious plant tower in Kessex Hills, which covered the land in a sickening toxin. Though we were able to bring down the massive structure, Scarlet seemed to have gained the knowledge she was looking for from it before its destruction, what did this tower of nightmares and its powerful toxin gain her? In the Thaumanova reactor fractal, we discovered that Scarlet and her Inquest cohorts discovered a form of ley lines, magical energy crisscrossing the world that seemed tied to the research being done in the reactor. But what do these ley lines mean? Finally, as Wintersday celebrations approached, more and more probes labeled “do not touch” began to appear around the world. Seemingly built using the technology garnered from the dredge and flame legion Molten Alliance weapon facilities, we know now what their alliance helped build – but the question remains: What are these probes meant to find? The answer to all of these questions await in our four upcoming releases in 2014: and lead to one final moment that will change the face of Tyria forever. Guild Wars 2 All-New Content Begins November 26! Tagged Guild Wars 2, Living, Recap, Wars, World, ‘Guild. « Guild Wars 2 One Week Only: Black Lion Weapons Discount!